"Price pledge - we will beat any like for like quotation"
With over 30 years in the roofing industry, we are a dedicated team of specialist roofers who pride ourselves on our professionalism and quality of our workmanship. At Professional Roofing & Guttering Services we give our customers peace of mind by instigating all the work ourselves without having to call in help from subcontractors. Using only the best roofing materials on the market, our work is carried out to the highest of standards and with the utmost attention to detail. No deposit is needed! Our work is fully guaranteed, we are fully insured and we have public liability insurance of £2m. Free home and site visits along with free, no obligation quotations at affordable prices are offered on the same day. We offer a 24 hour emergency call out service should you have any immediate problems, call us today on 07967 818088! Our dedicated team are proud members of Trustatrader, MyBuilder and RatedPeople, we offer free helpful advice and guidance on all roofing enquiries and offer a quick response to any query we receive. For an honest, reliable and punctual service call in the roofing experts at Professional Roofing & Guttering Services today on Freephone 0800 747 1219. 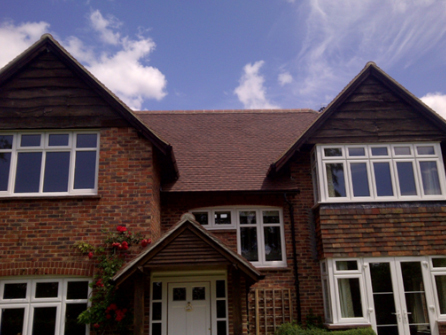 WHY CHOOSE PROFESSIONAL ROOFING & GUTTERING SERVICES? 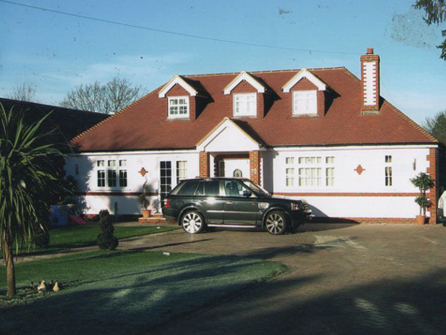 "Les’s team came and replaced the guttering and facias on my garage. They did a good job and it looks really nice, I’m very happy with the work." "Did the job very quickly and efficiently and for a very reasonable price, would highly recommend." "Responded promptly to the job posted and came out the same day to provide a quote. Work started soon after and overall we were pleased with the quality of work provided and the price was reasonable as well. Les and his team kept us informed and also started a job next door at the same time and both jobs was finished at the same time. We received quotes for further work to be done which we will consider to do in due course." "I had them hired to fix a broken drainage pipe on the roof. From the moment they were hired, communication was punctuation & smooth, they showed up on time and did an excellent job. The guys were also very friendly & professional. 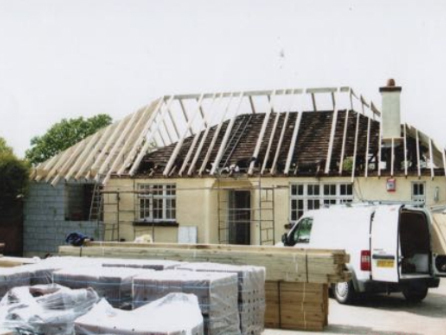 I would highly recommend them & use them again for any future roofing / gutting works." "Les was quick to respond and he kept me informed throughout the job and explained things to me in laymans terms using photographs etc. Seemed very trustworthy - as for the work, it all looks good but time will tell"
"Leslie did a great job on our garage roof, but despite a lot of chasing we're still yet to receive any written detailing the roofing warranty and he hasn't sent an invoice confirming the payment." "Les and his team were very impressive in the speed they replaced our flat roof and releaded the main gully and all done at a great price. I would not hesitate to recommend Professional Roofing for all your roofing needs. I wouldn't bother getting a quote elsewhere - they are the best."